Many of you are aware that Curt has been working with InterVarsity for over a year now. He continues on as Area Director and remains excited about his work. It’s going well, although raising his full budget in this economic time has been quite difficult. So, with some of these challenges present, in effort to supplement income, Curt has been working “on the side” with several other guys who also have their full time jobs, to actualize some amazing ideas they developed. One of these ideas was an IPhone application. With Curt in the administrative role and his partners in such roles as marketing, web development, and research, they developed this idea, submitted it to Apple, and now it is for sale on the Apple ITunes store! I’m so proud of Curt and these guys! Now that the app is for sale, we’re all working on getting the word out. One of his partners’ full time job is marketing and advertising, so he is doing a bulk of the work to market this app online, but I thought that the least I could do is post it on our blog!!! Apps that sell really well have high ratings on the Apple Itunes store. High ratings and positive reviews drive up the overall ranking of the app. The ultimate goal with marketing in this case is to have the app become a “staff pick.” This gets the app on the home page and greatly increases visibility. So, my goal is to get as many people as I can to buy this app and go on the Itunes store and rate it (if you want you can submit comments too, but that’s not necessary). All you need to buy the app is ITunes, which you can download. The app is only $2.99 and is created for IPhones and IPod Touches, but more updates to the app will be coming out later to make it usable for those who have Nanos, Shuffles, or are Windows Users.Even if you don’t have an IPhone, buying the app and rating it would be something that would get the word out! So, are you up for my challenge? 1. Download ITunes (www.itunes.com) if you don’t have it. 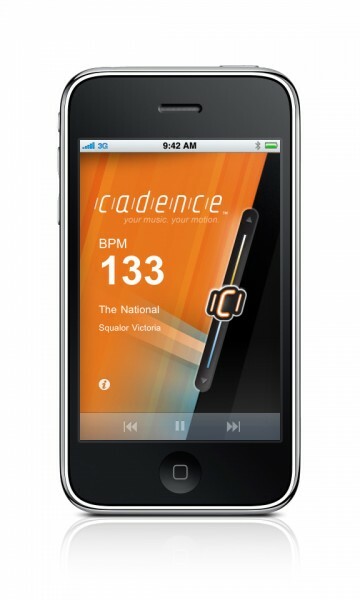 Cadence is an awesome app–it organizes your music library by beats per minute (BPM). When you select which BPM range you want, all your songs that have been analyzed to that range are played–it cuts out all the work involved of creating the perfect playlist for running, relaxing, dancing, studying, or whatever you choose! I’ll keep you posted how this all turns out–so far it’s been pretty exciting! Thanks for the update, Kristin. We’ll plan to get it soon. Just passed this post on to http://www.wannarun.com and also the RunDesMoines site. Two groups of running friends……..total of 20-30 people. Hope this helps get the word out! Nice job, Curt&Co.! Hi Matthew. I emailed back and forth with Sarah Hunt at Audiosocket trniyg to ID one of your songs. *Anything* is on the featured list at Animoto. But it shows as being on your Goodbye EP. And I sorta could tell it wasn’t you singing. So anyway, she said she’s reached out to you about how I might acquire the song. Just wanted to say hi and thanks.